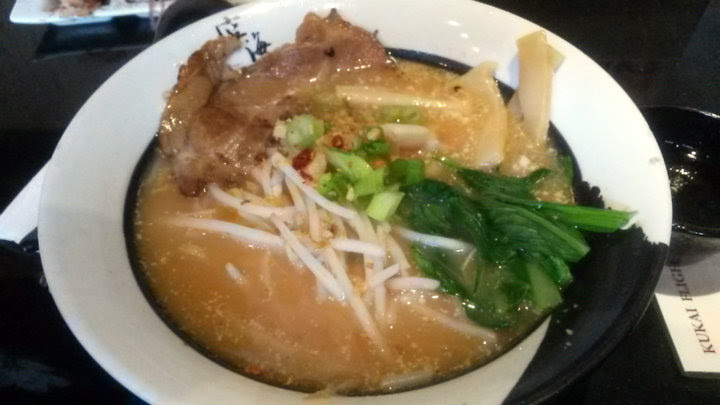 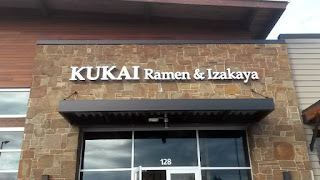 Kizuki Ramen and Izakaya has several locations. 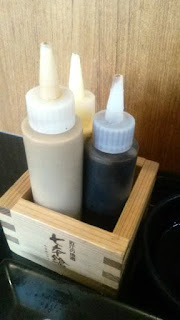 This blog post covers the spot on NW Cedar Falls Drive in Beaverton, Oregon. 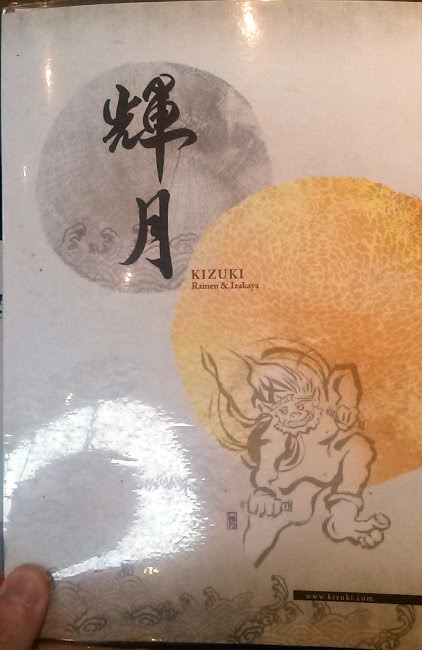 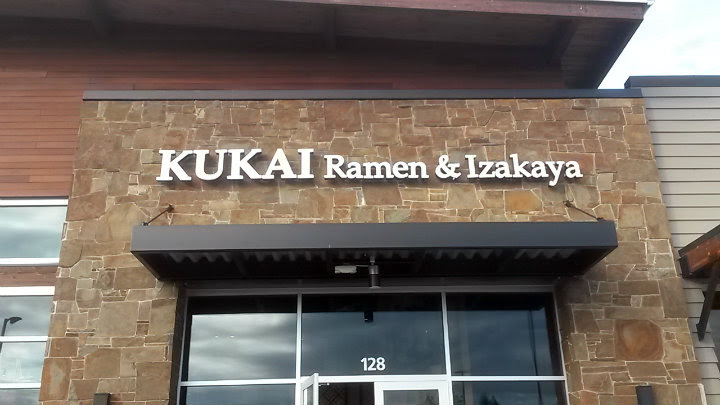 As a note, Kizuki was formerly known as Kukai Ramen and Izakaya. 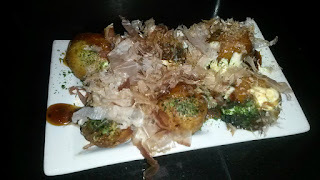 I had dinner with a friend on a weeknight, and naturally the place was slammed. The wait was about 20-25 minutes. 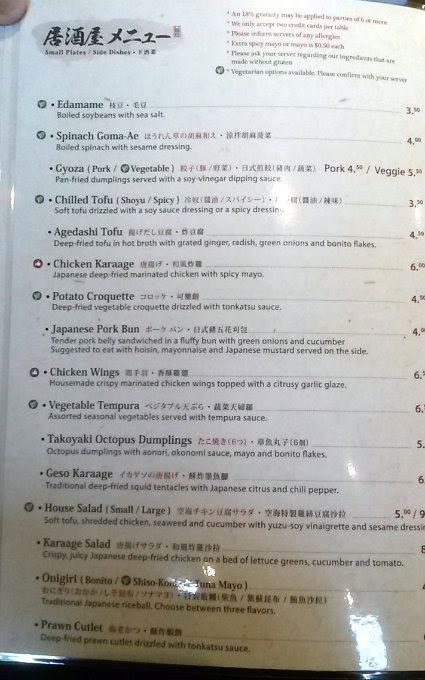 The menu has several types of ramen and about a dozen side dishes/appetizers. 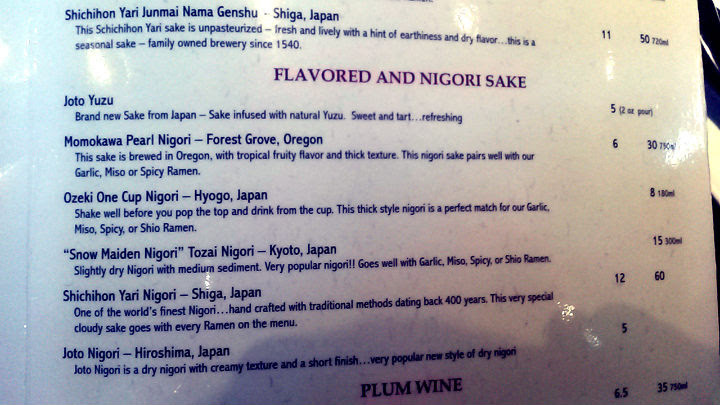 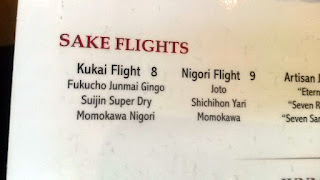 While the beer selection is limited to Asahi and Sapporo, they tout a few cocktails and sake/whiskey flights instead. As for sake, I decided on the Kukai Flight ($8). 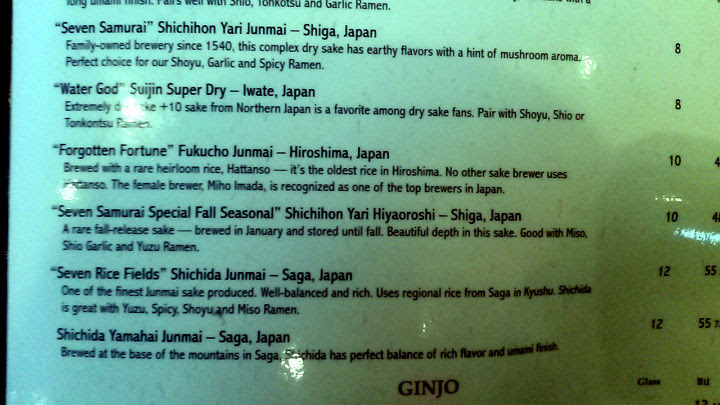 I enjoyed the Fukucho Junmai Gingo the most, as it was the fruitiest and smoothest of the three. 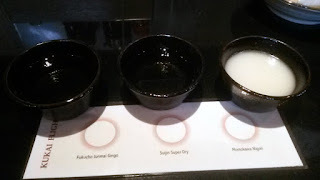 The Suijin Super Dry was also great, and the Momokawa Nigori had a unique creamy white look. 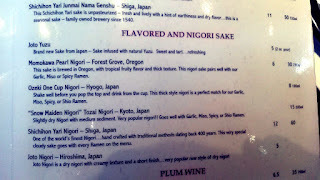 I don't dabble in sake very often, but it's good stuff. 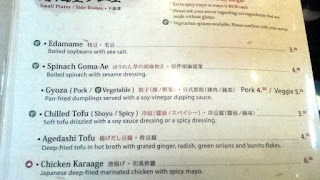 Being extra hungry on this occasion, I went for the gusto on side dishes. 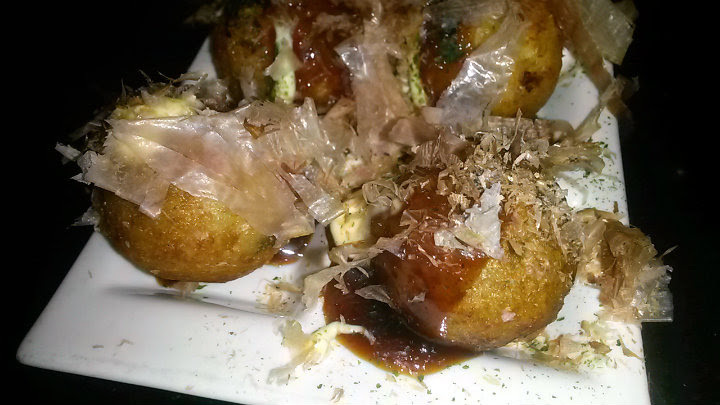 My favorite side was undoubtedly the Takoyaki Octopus Dumplings ($5), complete with the "dancing" bonito flakes. 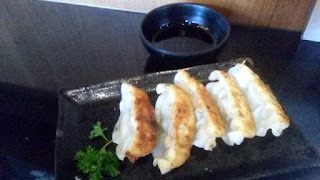 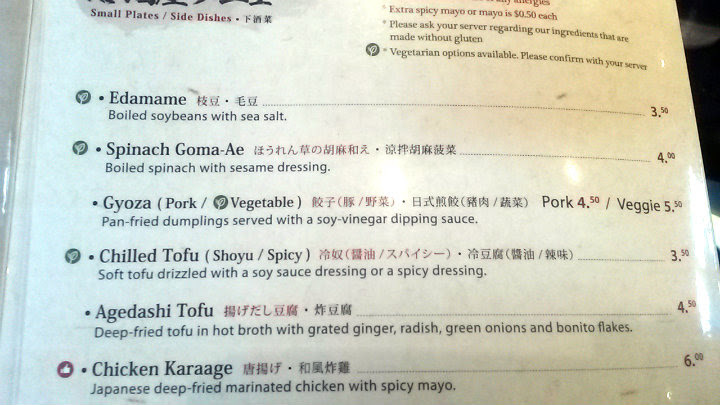 The pork gyoza ($4.50) were good but in my book could have spent just a tad longer in the fryer. 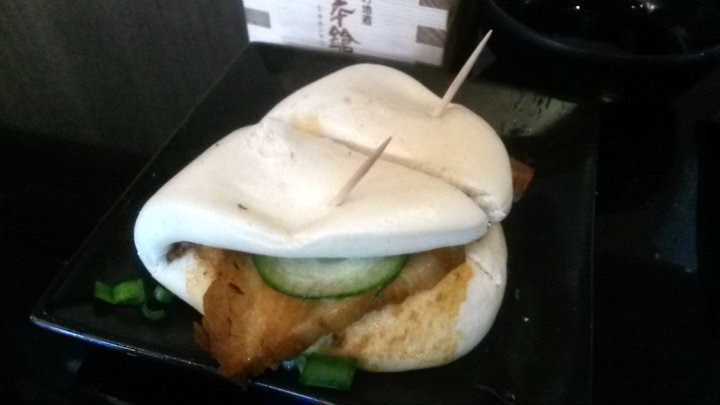 Lastly, the Japanese Pork Bun ($4) was fine, nothing too special. The bun is served with choice of Chinese mustard, mayo, and/or hoisin sauce on the side. 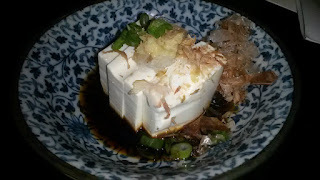 My friend enjoyed her Chilled Tofu ($3.50), but I was too preoccupied with my feast and didn't try the tofu. 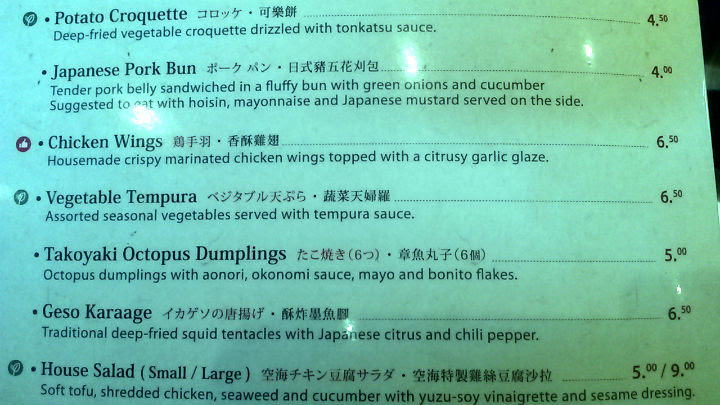 Naturally, I still snapped a photo. The Garlic Tonkotsu Shoyu Ramen ($12) is their signature, but I clearly couldn't pass up anything with the word "spicy" on it. 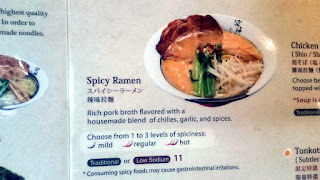 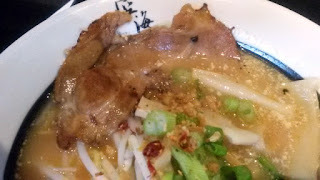 The Spicy Ramen ($11) has a rick pork broth containing chiles, garlic, and spices. 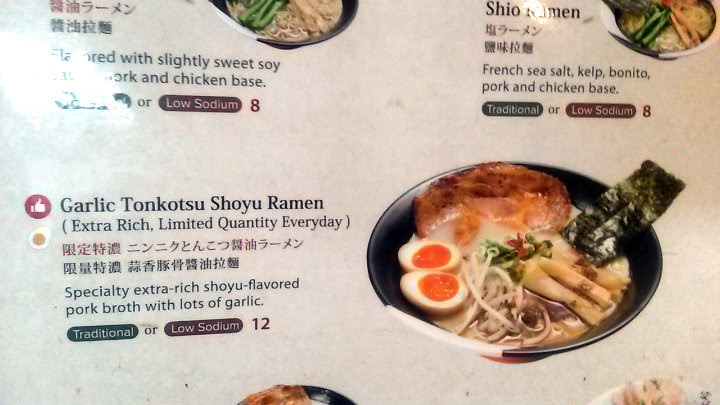 I got the low sodium option, as I had loaded up on a few side dishes. No need to ask, I got their spiciest option. 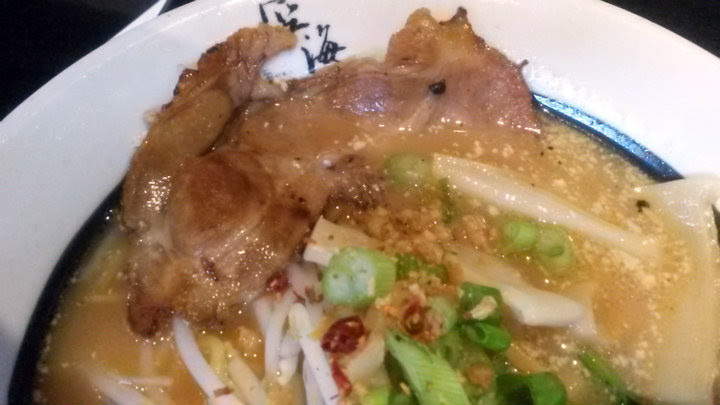 Excellent noodles, cooked perfectly. 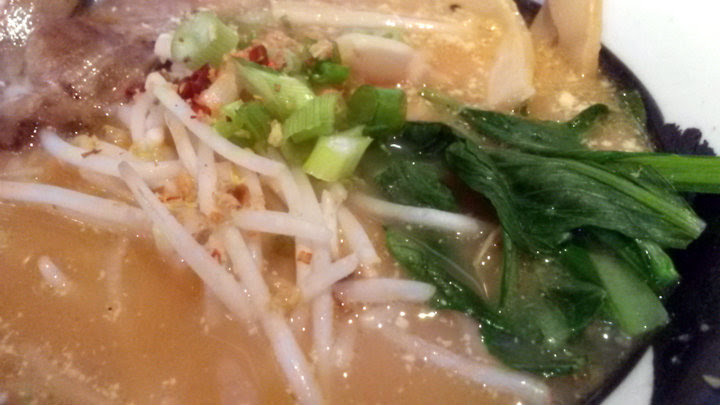 Satisfying and hearty broth, with a bit of spice. 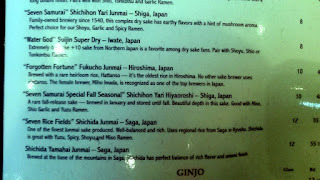 I wasn't shy on using shichimi to liven things up even more. 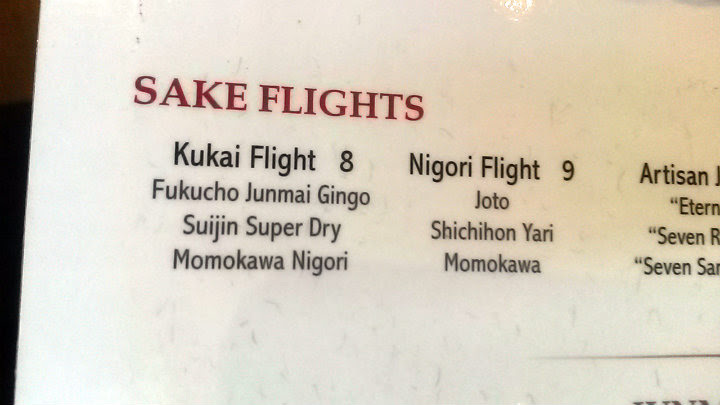 Very good service here, especially given the packed house. 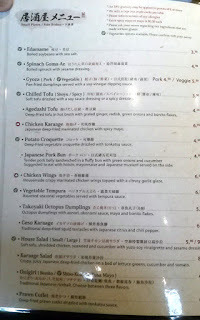 The friendly staff quickly tracked me down after the meal, as I had nearly forgotten my glasses there.